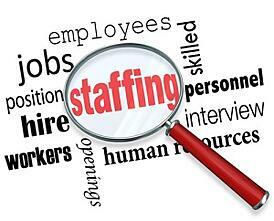 Staffing Companies - Are you prepared to hire for the Holiday Rush? The holiday season is rapidly approaching, and many companies, in many different industries, will require extra help. Your staffing company may have been preparing for this as early as August, but many companies are still beginning the holiday hiring process. So how prepared are you to provide the correct number of candidates for the job? Obviously, no matter what the industry, from retail, to general business, you want to cash in on the best temporary staff out there for the job. We have discussed how to tempt the temp and make sure your qualified candidates keep coming back for more. However, during the seasonal rush it is not always the most qualified individuals; it may just be the most reliable candidates who will turn up on time and be willing to work hard. With this in mind, your staffing company should be looking at all age groups from the college students on break to the senior, retired community who have many skills from previous careers that they can bring to the table. Employ the best strategies to encourage them to work through your agency, and build a loyal temporary base that will want to come back for more. Many companies try to hire direct, but if they know your agency has fully vetted all temporary staff in all the necessary areas, they will be prepared to spend the extra amount just for peace of mind. There are many economic challenges inherent in seasonal hiring activities for your customers beyond the obvious cost of extra employees. They will push to delay payment for as long as possible, and this is where your agency needs to be able to pay staff on time to keep them coming back and to service your customers as best you can. We know that happy productive employees always get paid on time. During this busy time of year, you may want to get even earlier access to your cash for payroll each week. This is possible with the Payroll Advance Program from Bay View Funding. Payroll advance basically allows you to have access to your funds on Monday for payroll due on Friday. Take care of payroll and have access to funds to help with other operating expenses, which will also undoubtedly be higher in busy periods. With the National Retail Federation predicting a 4.1% growth in sales in November and December compared to last year, many different industries will be looking for increased help. Make sure you are prepared with the right staff and the most effective way to cover payroll.